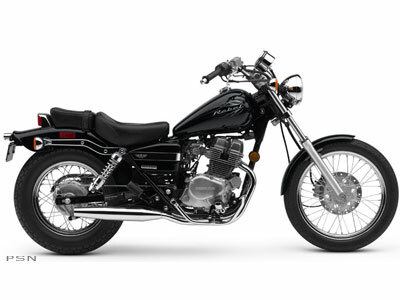 Rebel® riders agree: This bike makes you look good no matter how long you've been riding. It's an entry-level bike, sure, but it boasts big-bike styling with its timeless cruiser looks and nifty chrome highlights. Its reliable 234 cubic-centimeter four-stroke twin delivers smooth power, and its five-speed transmission is a no-brainer to shift. Why pay more for a lesser bike? The Rebel's sticker price is as unbelievable as its outstanding fuel economy — proof positive it's a Honda.